We use Goodyear welted construction which comprises three layers of stitching, including a lockstitch which gives firmness to the entire structure. The finished result is a handcrafted, labour of love that is both highly durable and comfortable. Our shoe uppers are made using 100% full grain leather sourced from the finest tanneries around the world. Full grain leather maintains the texture from the original cowhide, ensuring the highest quality finish and feel on each shoe. It is also the most durable and flexible form of leather. This means that the leather stretches over time to take the shape of your foot, making the shoe fit better with each use. Vegetable tanning transforms high-quality rawhides into the finest leather, which develops its own unique patina over time. Only approximately10% of leather is made using this natural process, as it is more time-consuming and relies on experienced craftsmen to create this natural finish. Every hide of leather is unique and all tonal variations and marks are the beautiful natural features unique to the vegetable tanning process. We use the highest quality Argentinean Leather to produce our soles. Argentinean leather soles are is a favourite among leather shoe-makers, due to its high abrasion resistance and durability. It is one of the most preferred types of leather for Goodyear welted construction, due the the high internal bond and strength of the material. 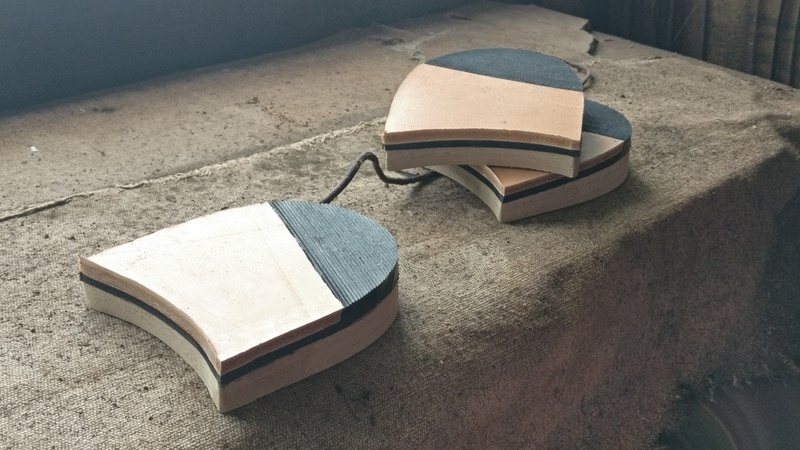 We use high-grade masonite, a quality heel material which is made out of recycled wood. The high internal bond of the material allows extreme durability for the heel, while making it much lighter than traditional leather heels. The high abrasion resistant rubber top lift at the top of the heel maximises support and balance. Every heel features a ‘gentleman’s corner’ to protect your trousers from any damage.